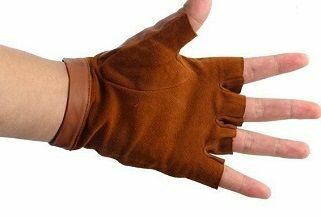 find a left hand leather glove and cut the fingers off (cut the glove – not your hand). or – check out the sporting goods stores or Wal-Mart bicycle section. of your hand for padding. gauze = it can breathe. Might I suggest getting some cut resistant gloves? At least one for your left hand. Your “off’ hand is most at risk from mistakes. Leather will not stop a sharp blade and cutting off the fingers leaves them totally unprotected. You could add the gauze pad Mr. Smith suggested to ease the pressure on the sore spot. “whittling” does not exert force on the wood like carving. so in my opinion, there is very little chance of a stab wound. 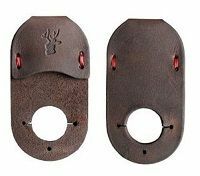 although a leather thumb guard would be a good choice. for something, I just go to my closet and cut me off a piece. old leather purses will provide an assortment of colors if you want something besides black. Don’t over-do it and it will probably get better as your hands get more used to it. But make sure your knives are really sharp and try to avoid harder woods like oak and hickory when you start out. Basswood (not balsa) is a really nice wood to carve. 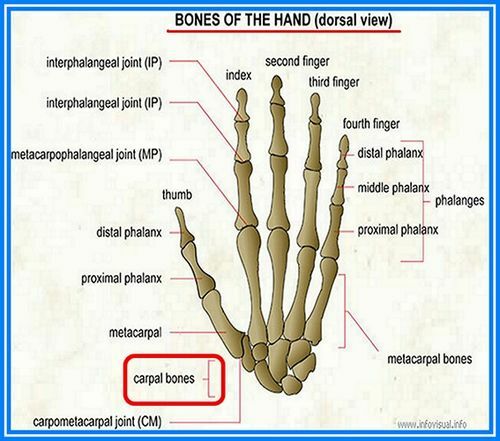 That area is known as The Carpal Bones. 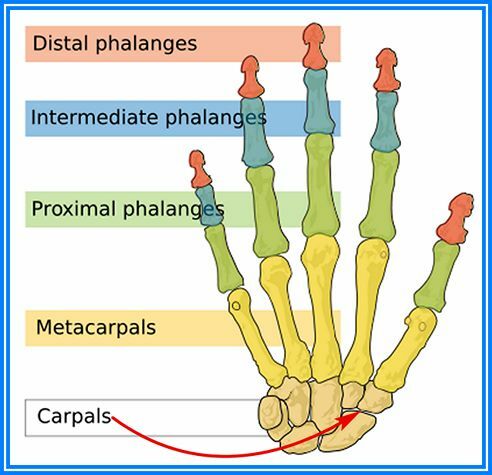 There are about Five Bones that Connect at that Point. If it bothers You at other times also, I would consult a Doctor. That’s the best I can do for you My Friend. DAMN! I had a Hand Bone Structure Picture I was going to put on here. But it’s a “BMP” Format and it won’t load and I couldn’t change it! Sorry. I found another picture. Not as good as the other one, but I guess It will have to do! Just Click on it and it SHOULD Open! CTS been there had that hated every minute of it! Got a cortisone injection in both wrists about 16 years ago and have been CTS free ever since. I talked with a lot of people and most said that surgery is not the way to go as it takes weeks to heal. The doctor, sports medicine doctor, that gave me these shots went through a lot of effort to “hit” the correct spot and, with no reoccurrence, she must have hit her mark! YEP! That’s the way to go My Friend! Glad it worked for you!